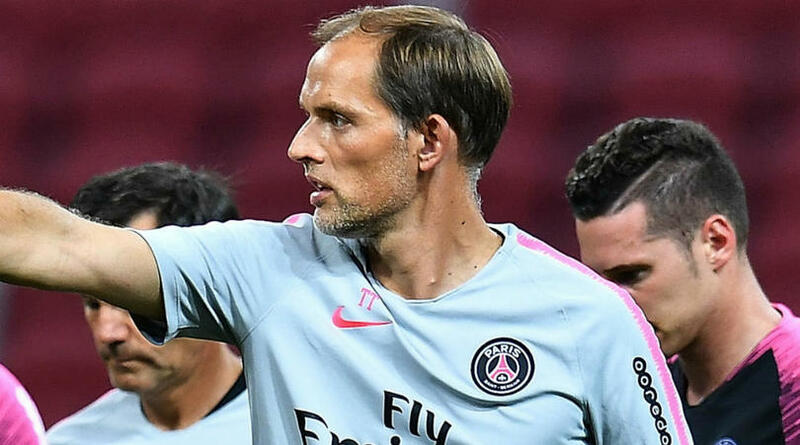 Thomas Tuchel has called for his Paris Saint-Germain team to produce more complete Champions League performances after they needed Angel Di Maria’s stoppage-time strike to claim a 2-2 draw with Napoli. PSG dropped down to third in Group C having taken just four points from three games and they were fortunate to even claim a share of the spoils at home to Napoli. The Italian club led through Lorenzo Insigne’s first-half goal and though Mario Rui turned Thomas Meunier’s cross into his own net for the equaliser, Dries Mertens’ 77th-minute strike looked like being the winner. Yet Di Maria curled an unstoppable left-footed effort beyond David Ospina in the 93rd minute to ensure Tuchel’s side salvaged a point. The German was pleased with PSG’s second-half performance but criticised his players for poor spells during the match. ‘Why we cannot play at the same level during 90 full minutes? It’s a good question,’ Tuchel told RMC Sport. ‘But we started well, I think, then we lost our structure. We played too individual for 30 minutes. And it’s not possible to do it at this level. PSG had not lost any of their previous 19 home Champions League group-stage games but former boss Carlo Ancelotti came within a couple of minutes of ending that run. Napoli host PSG in their next Champions League contest and Ancelotti is upbeat about their qualification prospects given they have already beaten group-leaders Liverpool at home. ‘We played very well against the two teams that were favourites in this group,’ he told Sky Sport Italia. ‘For us, it’s important to know we can beat them. ‘The return game will be crucial to see who makes it to the next round, and we’ll be playing at home. With strikers like theirs, they are bound to be a slightly unbalanced side.